Should I Convert to Gas Heat? Heating a home with oil is, by far, the most expensive way to heat a home, which is why more homes throughout the country are converting to gas heat. In fact, most new homes are built to handle forms of heating other than oil, such as electricity, propane, or, of course, natural gas. But many historical and aging homes scattered across New England, as breathtaking as they are, still rely on oil heat. 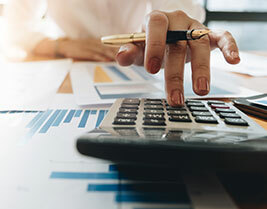 Homeowners with oil heat often spend in excess of $2,000 per year on heat, compared with the $700 or so spent by homeowners who use natural gas. If you’re replacing your old oil heating equipment, you may want to compare gas vs. oil heat and calculate your savings if switching to cheaper, cleaner gas heating. Switching to gas heating is a good idea regardless of the money you can save. Gas heating systems are smaller, quieter, more energy efficient, and better for the environment than oil systems or those that use electricity. 1. Check if you have a gas line going into your home by calling your local gas company. If you do, the conversion process is very simple. 2. Bring the gas line from the street to your home. The gas company will determine how far your home or business is from a gas line and analyze the availability of gas in your area and provide you with an estimate for bringing the gas line from the street to your home. For towns and cities surrounding Boston like Malden, Medford, Stoneham, and Saugus, this can cost as little as $500. The cost depends on how far away the gas main is from your home. The cost will often be lowered further because the gas company may pay for some of this cost. 3. 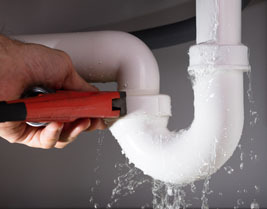 Call a plumber from Evolved Mechanical. 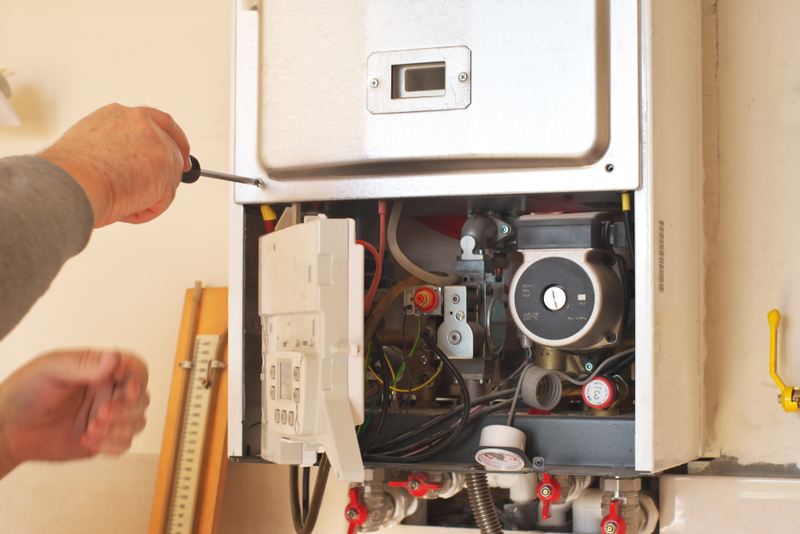 An experienced, qualified plumber from Evolved Mechanical will make sure your systems are correctly converted to gas. All of our technicians are factory-trained, fully licensed, and insured. 4. Choose the right equipment. 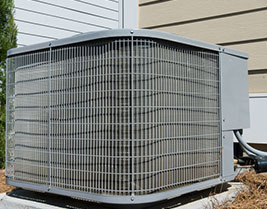 Depending on your budget and heating, cooling, and plumbing needs, Evolved Mechanical will help you choose the perfect system size and type. 5. Find out if your new gas system qualifies for a 0% MassSave Loan or a MassSave Rebate. 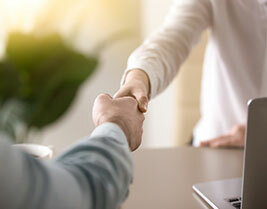 Evolved Mechanical technicians can help you find out if your efficient gas-heating system qualifies for 0% financing and rebates from the state and federal governments. 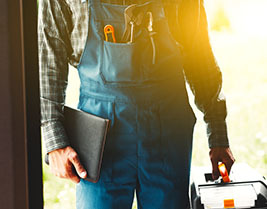 To qualify, your new system must meet certain efficiency standards and your plumber must be a Mass Save-approved contractor. Learn more about Mass Save rebates here. 6. Get your new system installed and inspected. After the gas line is installed, Evolved Mechanical will install and inspect your new natural gas equipment. The cost for this is included in your conversion package. After your system passes inspection, the gas company will install your meter. 7. Remove old equipment. Evolved Mechanical can help you with this by coordinating with your local oil tank removal company to have your old oil tank and heating system removed and properly disposed of. What Will the Equipment Cost? As with any new system, it can be an investment. The cost will vary depending on the size of the heating area and a number of zones. High-efficiency systems (90%+) can be more expensive up front than a less efficient system but will save you money, in the long run, thanks to their fuel management. You might also be eligible for a tax refund of up to $300 if you purchase an energy-efficient furnace. Any Other Expenses to Consider? The only extra cost is the removal of the tank and oil. It typically costs $650, which Evolved Mechanical includes in the full cost of the quote. Learn more about Mass Save™ Rebates! Interested in Oil to Gas Conversion? Learn how much you can save by converting from oil to gas.